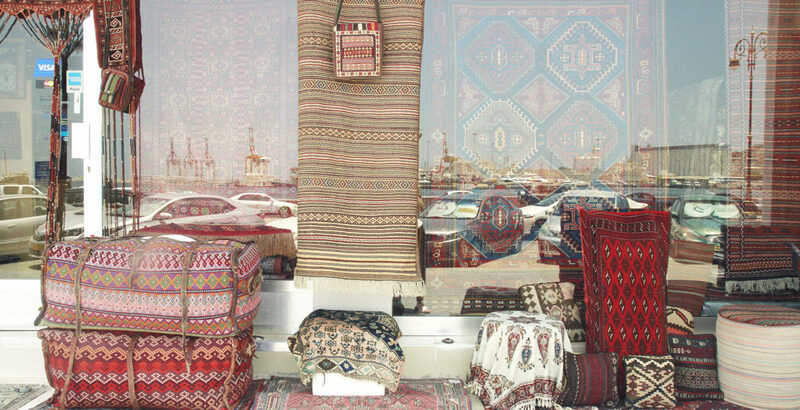 A journey through the fascinating facets of this Arabian country. Fahad is always on the move, because to him this means showing that he exists in this world and that he is helpful in increasing the personal happiness of himself and others. Disclaimer: this won’t be your classic 24 hour guide. Why? Because it is simply not feasible to pack the beauty and fascination of Oman into a single day. You cannot focus on one area because there is not one hidden treasure to lift but many jewels, scattered across the country, to collect. Muscat, my home town, is a good starting point for your journey through the Sultanate of Oman. One of the most notable constructions here is definitely the Sultan Qaboos Grand Mosque. And grand is not only an adjective here but an important fact since this is one of the biggest mosques in the world. Of course it’s one of the most important buildings in the country, too. For non-Muslims the mosque is open every day until 11am (not on Fridays though). Make sure you are dressed appropriately which means your arms and legs have to be covered and ladies have to cover their head as well. Be excited for impressive architecture and magnificent ornamental work! No less fascinating is the Royal Opera House in Muscat. It is the only existing opera in the Gulf States and a thrilling combination of traditional Omani architecture, western opera design and modern features. After you’ve left these peaceful and quiet places, throw yourself into the lively and loud opposite: The Mutrah Souk in the Old Town. Everybody visiting an Arab country for the first time has to experience a traditional Souk at least once. The range of colours, scents and sounds is overwhelming and will stimulate all of your senses. 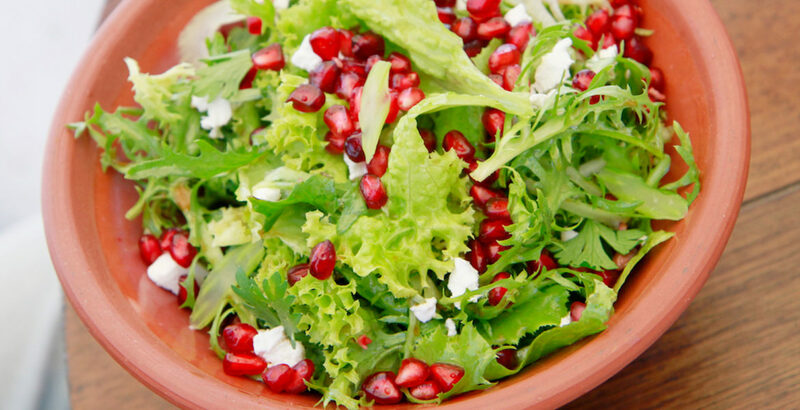 The walk through the Souk will have probably made you hungry by now, in which case you should go to Bin Ateeq. This place will serve you typical Omani food in the most traditional way – sitting on carpets and eating with your hands. Do not miss out on this truly exceptional and above all authentic experience! If you are interested in snorkelling and diving, there are two spots I’d highly recommend. One is the Oman Diving Center which lies in a lovely bay and provides an amazing underwater world to explore. They offer all kind of diving classes, from beginners to advanced stage. And if you want something more offbeat, head to hidden Ras Al Hamra Bay where you can snorkel in crystal clear, turquoise water and hang out in the sun. Another nice and rather lonely beach is the Shatti Al-Qurm Beach. The grand finale of your journey should be the Al Hajar Mountains in northeastern Oman, so start driving towards more adventures and make a first stop at the oasis town Nizwa. Less than 20 km outside of Muscat it all goes back to originality and craftsmanship. Especially known for its wrought silver, Nizwa might be the place for you to purchase some nice souvenirs at the souk. Besides the silver, another attraction is the cattle market on Friday mornings. 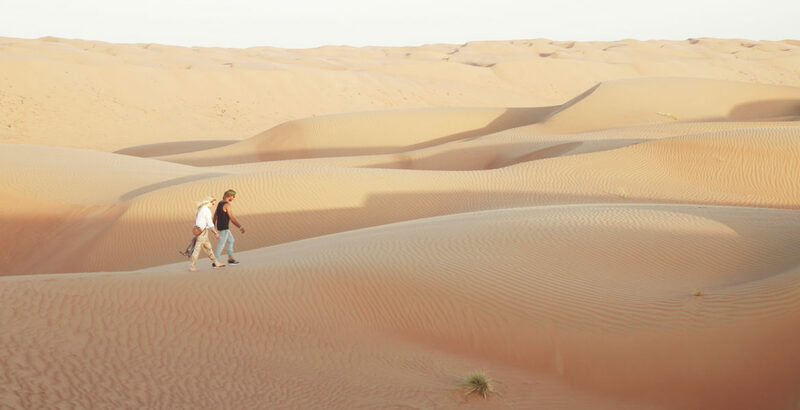 On your way through the Wahiba Sands it is a must to plan in one night in the Desert Nights Camp. Book a camel trekking tour led by Bedouins, enjoy a breath-taking sunset from the top of the dunes and gaze at the innumerable stars in the night sky. This will definitely be a one-of-a-kind experience in your life! 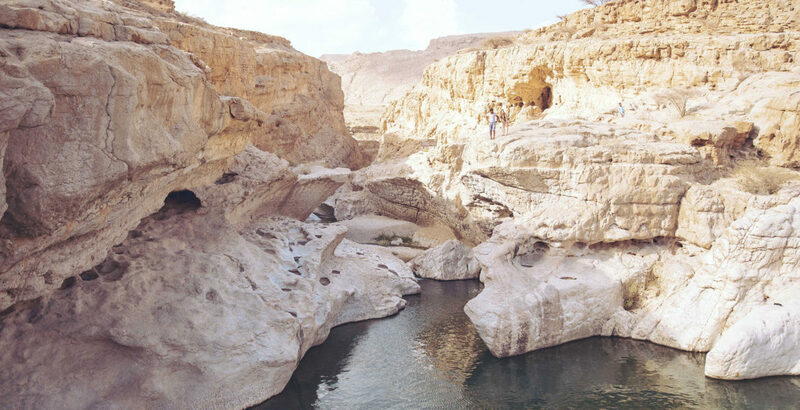 Driving a little bit further, you will soon become aware of the Wadi Bani Khalid oasis. The lush forest of palm trees will automatically lead you closer to water and thus closer to the oasis which lies inside a huge canyon. Go and explore the area! There are small, cool pools, waterfalls and caves hidden everywhere. 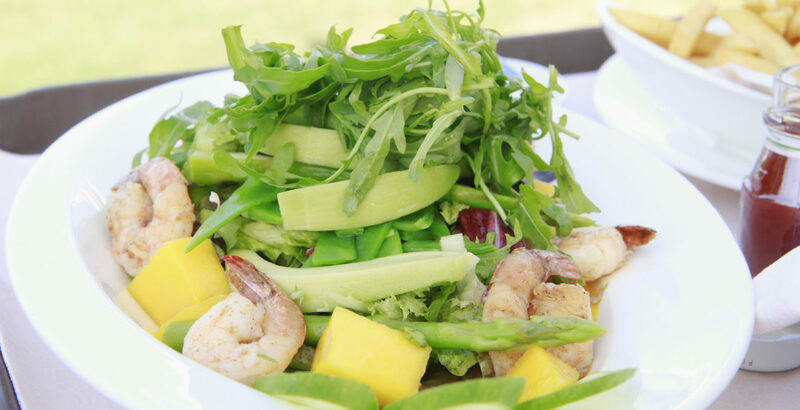 A perfect destination to refresh the mind and body and to wash off the desert sand. 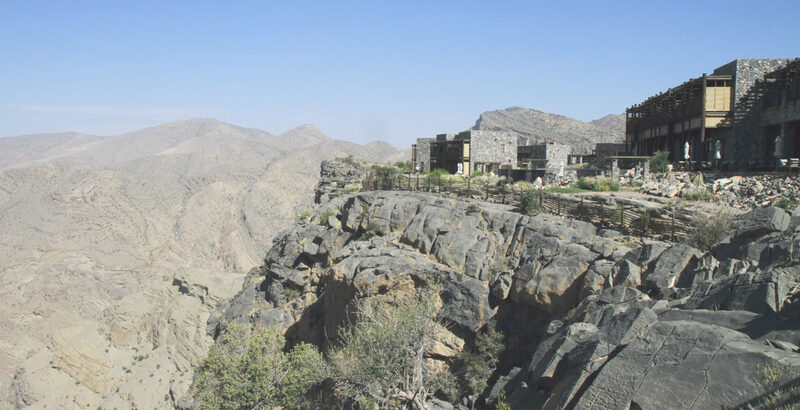 When you finally get to the last destination of your trip, the hotel Alila Jabal Akhdar (read more about it here), you will know why you took the 75km drive from Nizwa over the bumpy and dusty roads to reach 2000 metres above sea level. You will know for sure! The design hotel, opened 2014, is truly exceptional. In the middle of the Al Hajar Mountains, this is the best place to unwind far away from urbanity. 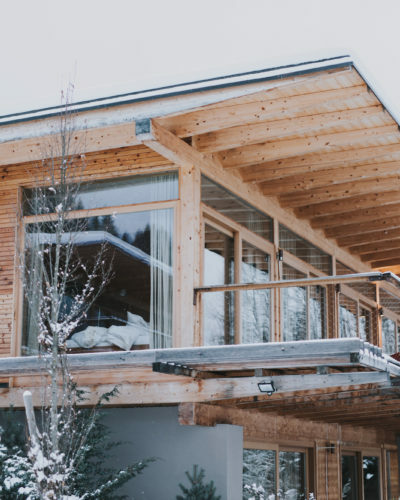 Especially during the hot summer months this is the ideal hideaway, because the temperatures are much more pleasant. Float in their infinity pool and enjoy the light feeling of remote luxury. 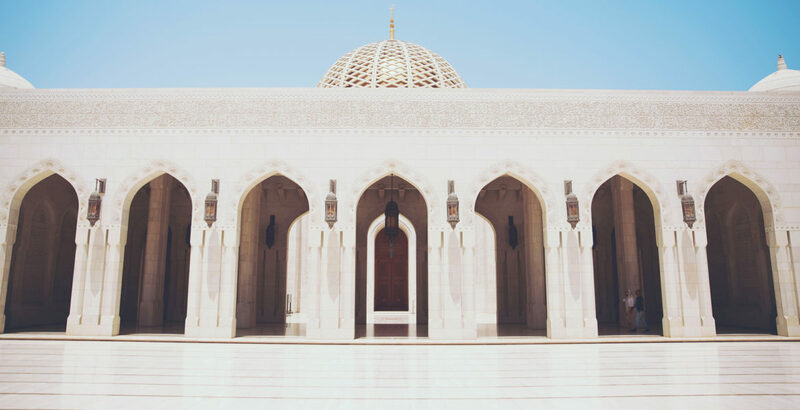 Sultan Qaboos spared neither expense nor effort in building this impressive mosque. This institution is the only one of its kind in the Gulf States and therefore something truly special. The Royal Opera House hosts national as well as international artists in its well rounded program. A traditional Arabic souk offering products of all colours and scents and materials. 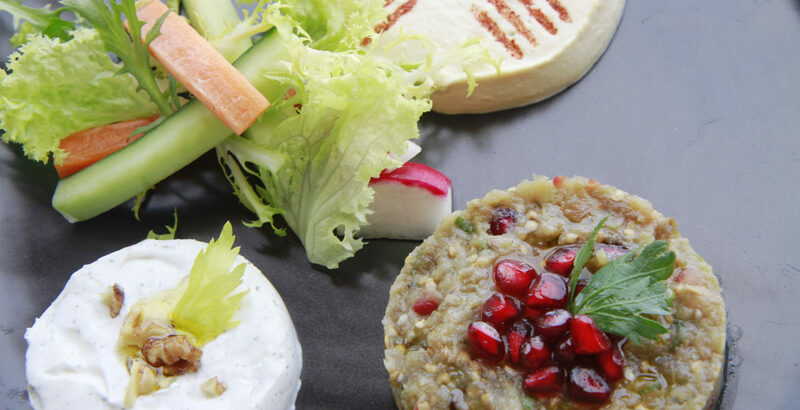 Traditional dishes in an authentic Arabic setting. Check out the stunning underwater world around the Sultanate of Oman; especially whales and dolphins love this area. 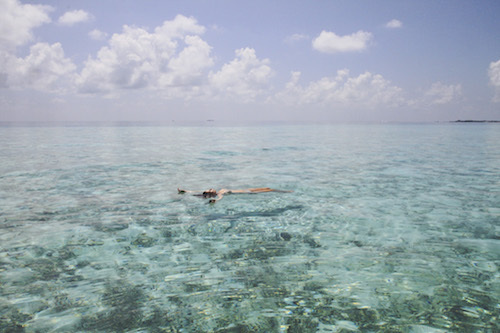 The bay is perfect for snorkelling. Take a relaxing walk at this lonely and quiet beach. 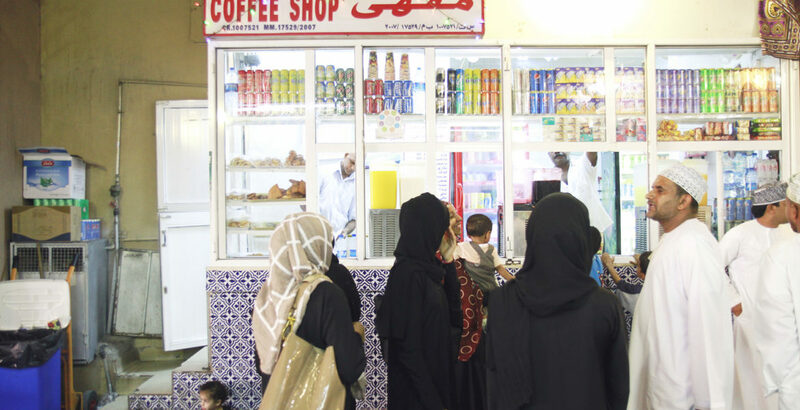 Nizwa is, among other things, known for its beautiful souk where you get all the products this region is famous for. Spending one night in the desert is kind of an essential thing to do. 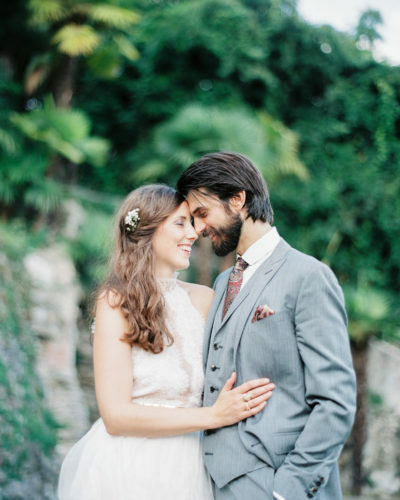 It is a truly exceptional and unforgettable experience! 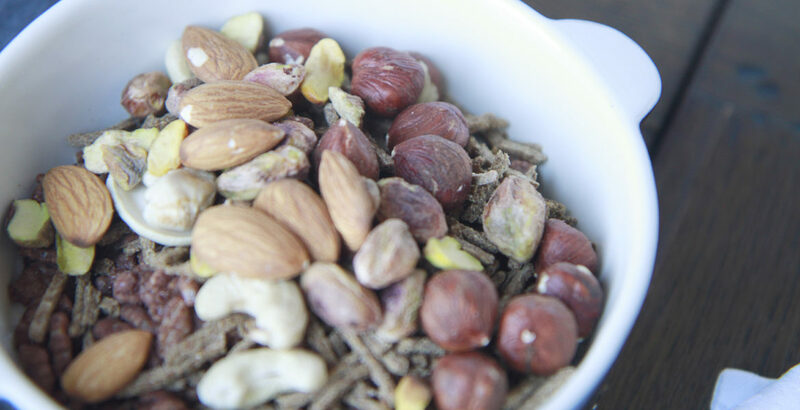 This oasis is a perfect refreshment after the desert. Just follow the palm trees to the water. A spectacular hotel in a spectacular location. 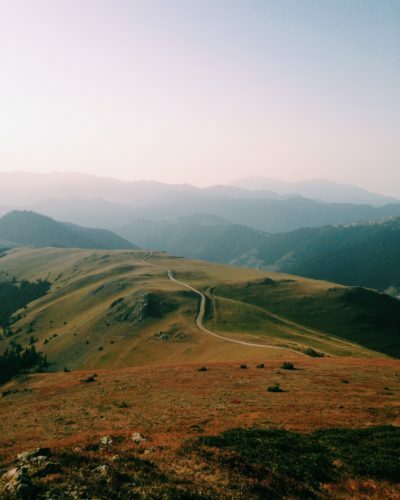 Not all those who wander are lost they say, but in this case being lost is definitely a good thing! 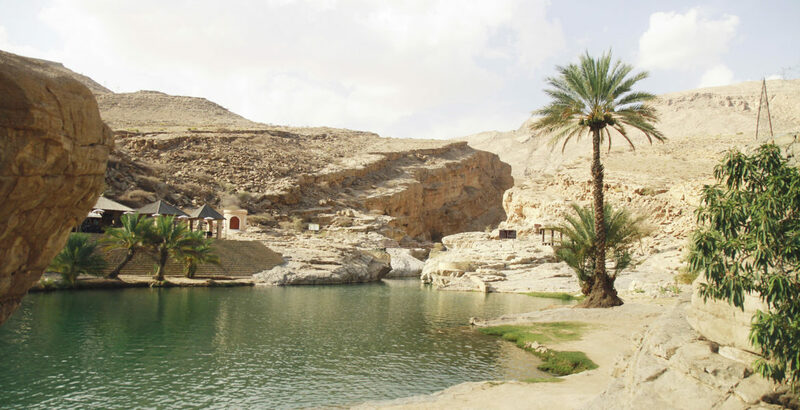 The Wadi Bani Khalid oasis is a delightful surprise in the middle of the parched desert. 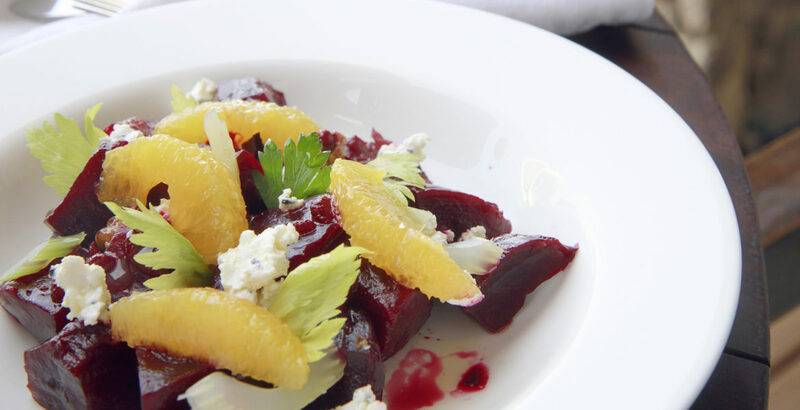 Have light and tasty meals in-between your journey, for example a nice beetroot salad. This is the impressive Sultan Qaboos Grand Mosque. It’s hard to resist buying one of these colourful rugs in the souk. On your way through the Wahiba Sands it is a must to plan in one night in the Desert Nights Camp. 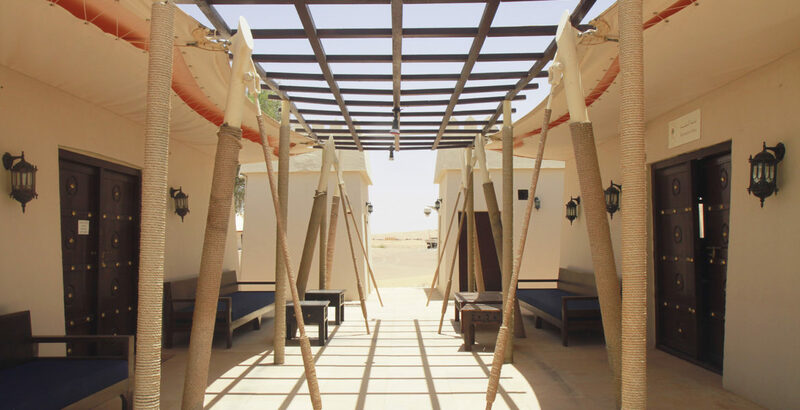 The Desert Nights Camp will be an unforgettable stop on your Oman journey! A thick, green palm tree forest will automatically lead you to the oasis and therefore to water. You have to ride a camel through the desert at least once in a lifetime! Take a luxurious rest at your last stop: the wonderful Alila Jabal Akhdar hotel. Walking through an Arabic souk is always very exciting - don’t miss out on it! 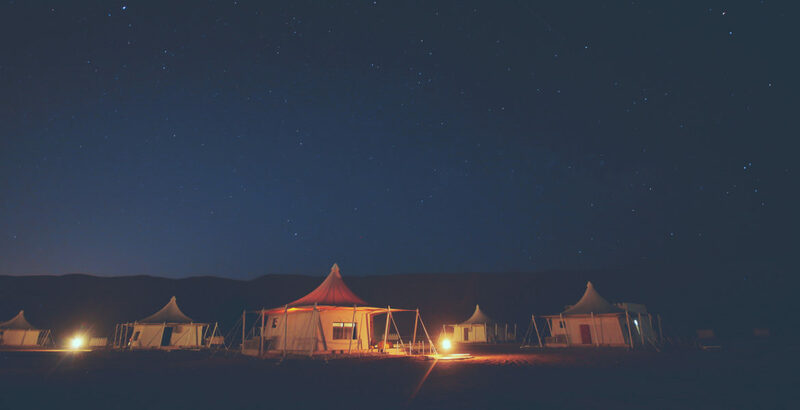 Settle down for a little bit of stargazing before you fall asleep at the Desert Nights Camp. I love the view of the deep blue Indian Ocean, the lonely bays, the many beaches and the huge, looming mountains. Get to experience both sides of Oman: the luxurious and westernised places like Muscat and more authentic Omani villages like Nizwa or Sur. Also you have to go on a trip into the desert. 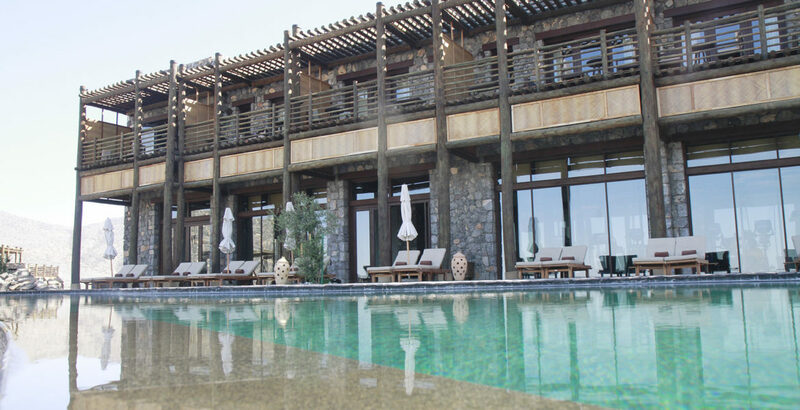 The Alila Jabal Akhdar offers a lot of spots for a sweet timeout. After I studied Biological Sciences in Ireland, I returned to Oman to live together with my family and my three siblings. I am a personal trainer and I love soccer and running. Being always of a positive attitude, always thinking optimistically and being aware of always having the chance to create tomorrow. My plan for the future is to get more educated and be a more qualified person than I am today and to bring something back to my beautiful country.